2016 marks the 400th anniversary of William Shakespeare’s death, and Shakespeare-related exhibitions have been popping up across London and beyond. Although Shakespeare’s work is known and loved throughout the English-speaking world, we have surprisingly little material evidence about his life. Only six documents bearing his signature survive. This lack of evidence, combined with his humble origins, has led some people to believe that he could not have written the plays and poems which bear his name. At the opposite end of the spectrum, there have always been those who are only too eager to believe even the most dubious claims of Shakespearean authorship. This mortgage deed, owned by the British Library, is one of only six documents known to bear William Shakespeare’s signature. In 1623, a group of friends and admirers published a large-format edition of Shakespeare’s collected plays: the First Folio. The book sold well enough to merit a second edition in 1631, and a third in 1663. 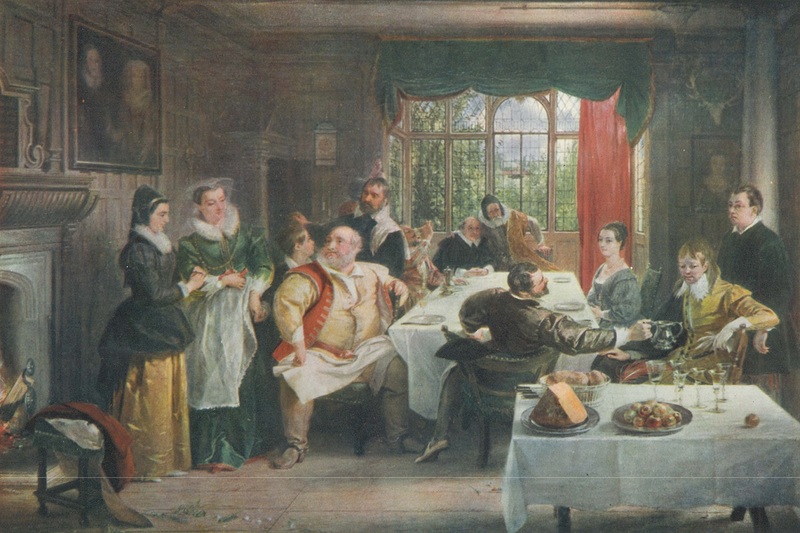 By that time, the public was mad for all things Shakespeare, and the third edition included seven new plays: Pericles, Prince of Tyre; Locrine; The London Prodigal; The Puritan; Sir John Oldcastle; Thomas Lord Cromwell; and A Yorkshire Tragedy. Of these seven plays, only Pericles is now widely accepted as part of the Shakespearean canon. Every time a new piece of Shakespeareana surfaces, it attracts plenty of media attention. Most recently, in 2014, two New York booksellers, George Koppelman and Daniel Wechsler announced to the world that they had found Shakespeare’s dictionary: a copy of John Baret’s Alvearie with anonymous handwritten notes in which they found parallels to certain lines in Shakespeare’s plays and poems. Unlike the media, however, the scholarly community is often reluctant to accept any but the most definitive proofs of authenticity, and for good reason. The popularity of all things Shakespearean (and our willingness to pay top dollar for them) has led to the “discovery” of several new Shakespeare manuscripts down through the ages. Sometimes, these discoveries are made in good faith by over-enthusiastic or gullible collectors, while others are deliberate forgeries. Perhaps the most famous of these cases is that of William Henry Ireland, who in 1794 presented his father Samuel Ireland with an antique deed bearing the signature of William Shakespeare. William Henry claimed that it had been found in an old trunk belonging to a wealthy gentleman who wished to be known only as “Mr. H.” Mr. H. purportedly had no interest in old documents, and invited William Henry to take whatever interested him. Samuel Ireland, who was an antiquary and a devoted admirer of Shakespeare’s work, was overjoyed, and other documents soon followed. He proudly displayed the papers for the likes of James Boswell, Henry James Pye, and John Pinkerton, who inspected them and deemed them genuine. In early 1796, Samuel Ireland published Miscellaneous papers and legal instruments under the hand and seal of William Shakspeare. It contained transcriptions and detailed reproductions of several of the documents, including a letter to the earl of Southampton, a confession of faith, theatrical contracts, a love letter and poem to ‘Anna Hatherrewaye” accompanied by a lock of hair, a letter from Queen Elizabeth, an original manuscript of King Lear, and various other business receipts. Ireland even went so far as to produce a deed which ceded all property in Shakespeare’s papers to a fictional ancestor, also named William Henry Ireland, as a reward for saving the poet from drowning. Another deed of gift mentioned an illegitimate child, hinting that Ireland himself might be a blood relative of the poet. To create his forgeries, Ireland cut seals from other Elizabethan documents. The volume sold so well that it went through a second edition that same year. 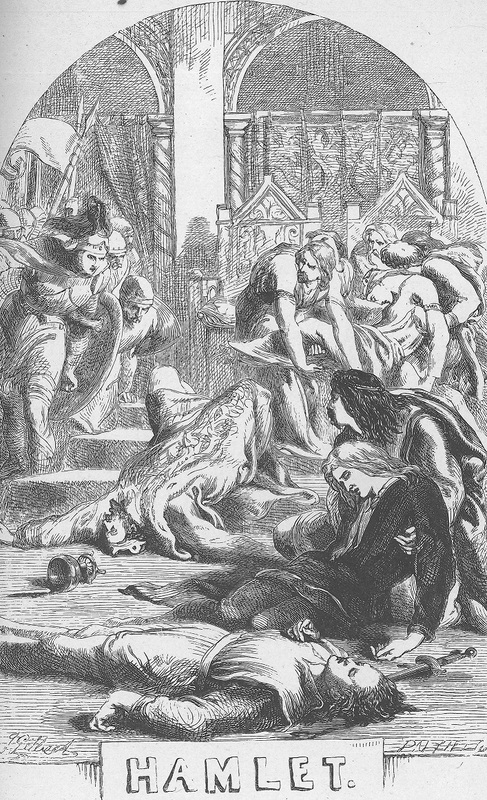 A “lost” play, entitled Vortigern and Rowena, was performed at Drury Lane on 2 April. By then, however, rumors had begun to circulate that the documents were forgeries, and the play failed catastrophically. On 31 March, two days before the performance, Edmond Malone had published An Inquiry into the Authenticity of Certain Miscellaneous Papers, an exhaustive 424-page critique which pointed out anomalies in the language, orthography, and palaeography of the documents. Later that year, in an attempt to restore his father’s reputation, William Henry Ireland claimed full responsibility for the forgeries in An Authentic Account of the Shaksperian Manuscripts, &c. In spite of this account, sceptics doubted that William Henry, only 19 years old when he produced his first forgery, could have so successfully imitated Shakespeare’s language and handwriting. His own father insisted that the manuscripts were genuine, on the grounds that his son was too stupid to have fabricated them. In 1805, William Henry published one further attempt to set the record straight, entitled The Confessions of William Henry Ireland. In this autobiographical account, he explains how he became familiar with 16th century handwriting and language by examining old documents in the legal office where he worked. From that same source, he cut out blank endleaves from antique books and removed wax seals from authentic documents for use on his fabrications. He experimented with various formulas for “Elizabethan” ink and methods of making it appear darkened with age. Following his exposure as a forger, William Henry Ireland gradually fell into poverty, working as a hack writer and producing some ninety literary works in various genres—this time under his own name. In spite of the scandal, he looked back on his forgeries with considerably more pride than contrition, fondly remembering a time when his own writing was (mistakenly) praised as that of the greatest English poet. Throughout his life, Ireland continued to produce “Elizabethan” documents on demand as curiosities, and to authenticate his claim that he alone was responsible for the manuscripts. Cardiff University holds a copy of the 1795 first edition of Miscellaneous papers and legal instruments under the hand and seal of William Shakspeare (London, 1796). It is an impressive volume measuring nearly 43 cm tall, with wide margins and painstakingly detailed engravings. More than 120 names appear in the list of subscribers, many of them bearing titles of nobility. When originally published, it cost four guineas, approximately two months’ wages for a working man. In the preface, Samuel Ireland states that, “It might have been produced at a lower price; but it was his [i.e. Samuel Ireland’s] earnest desire to give such a variety of fac-similes of the hand writing, as to enable the reader to form a complete judgment of the general character of the manuscript.” Incidentally, a mere seven paragraphs are spent sincerely reassuring the reader as to the authenticity of the manuscripts. Guest-curated by final year PhD student Michael John Goodman, Illustrating Shakespeare focuses on the visual representation of six of Shakespeare’s most engaging heroes and villains. 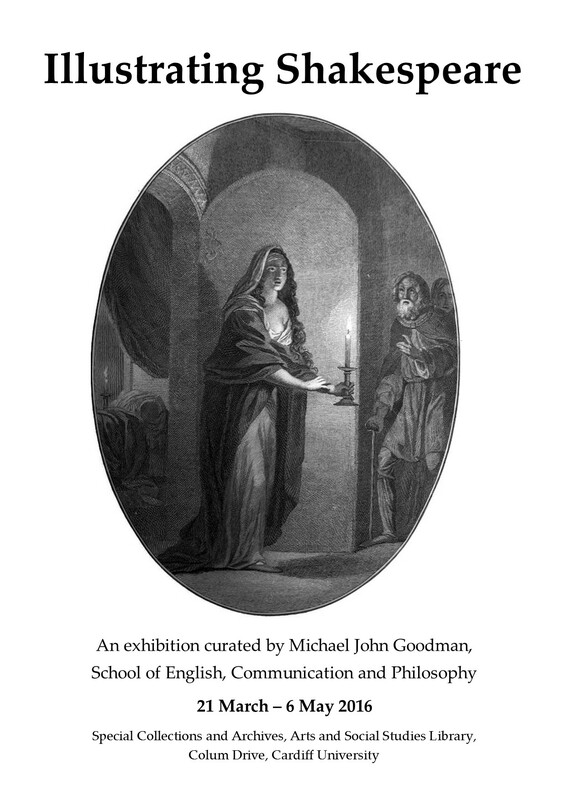 Read more about the background to the exhibition, and Michael’s wider research on Shakespeare illustration, in our interview. The exhibition will be on display in Special Collections and Archives until 6 May 2016. Richard the Duke of Gloucester: hunchbacked, ‘deformed, unfinished,’ beguiles and appals the audience with his desire to ‘prove a villain’. 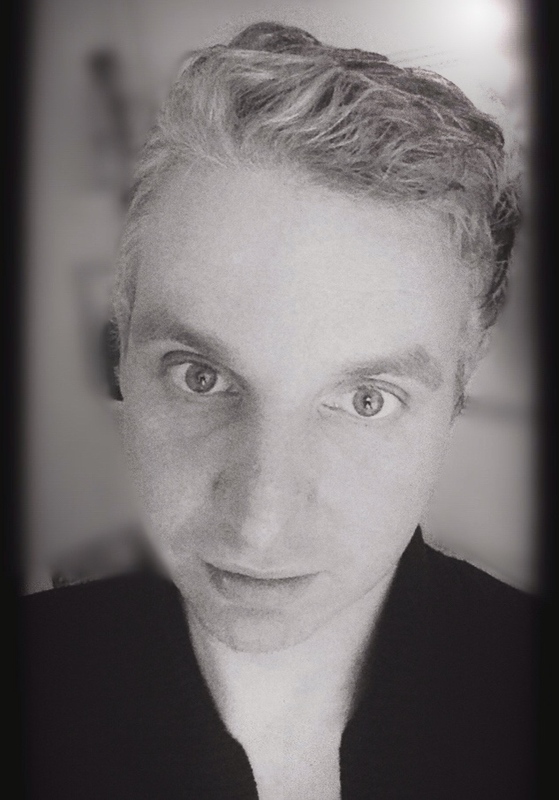 One of the most psychologically complex characters to be realised on the stage, Richard is a performer, an actor, confiding in the audience his darkest intentions: manipulating them into sympathising with him, as he manipulates the characters on the stage into carrying out his instructions, including murder. 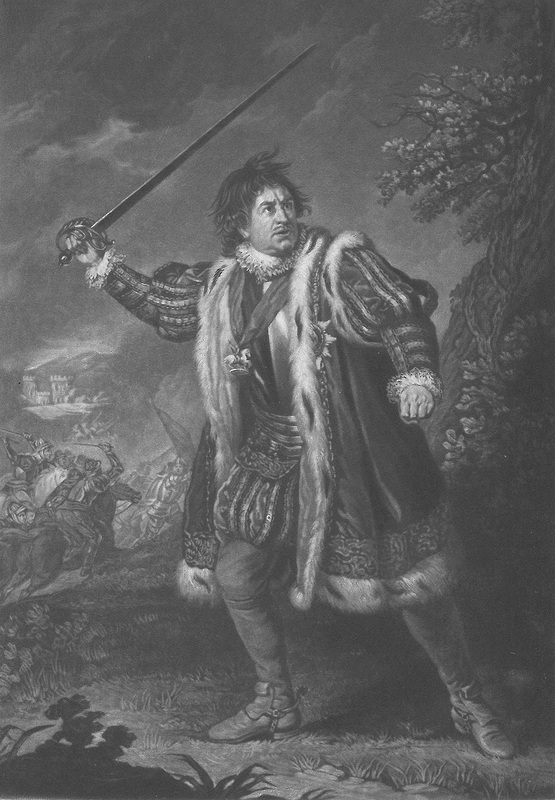 The illustrations presented here of Richard range from the familiar depiction of him as hunchbacked King (the Dalziel frontispiece, illustrated by John Gilbert), an attempt at historical accuracy (the aquatint portrait) through to three images that illustrate events taken from Richard’s nightmare before the Battle of Bosworth’s field. 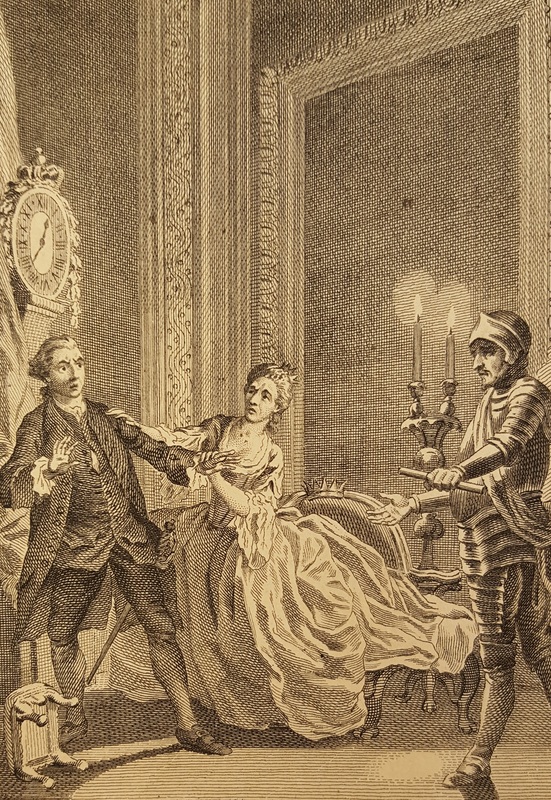 In one powerful depiction, a terrified Richard is confronted by the Ghost of Lady Anne. By way of contrast, the illustration of Richard by Johann Joseph Zoffany, whilst technically more accomplished, loses much of the visceral horror that is apparent in the image with Lady Anne: Richard here is securely lying in bed and this is very clearly a dream, with the threat of physical or psychological violence neutered. 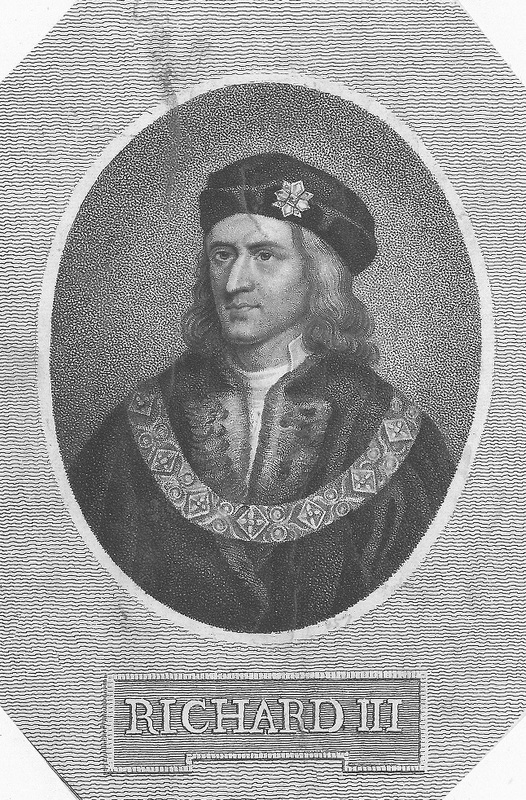 Frontispiece, Richard III. Engraved by the Dalziel Brothers after John Gilbert. Richard III. In Charles Knight (ed. ), Pictorial edition of the works of Shakespeare: histories, vol. IV, pt. 2. London: Charles Knight and Co. 1867. 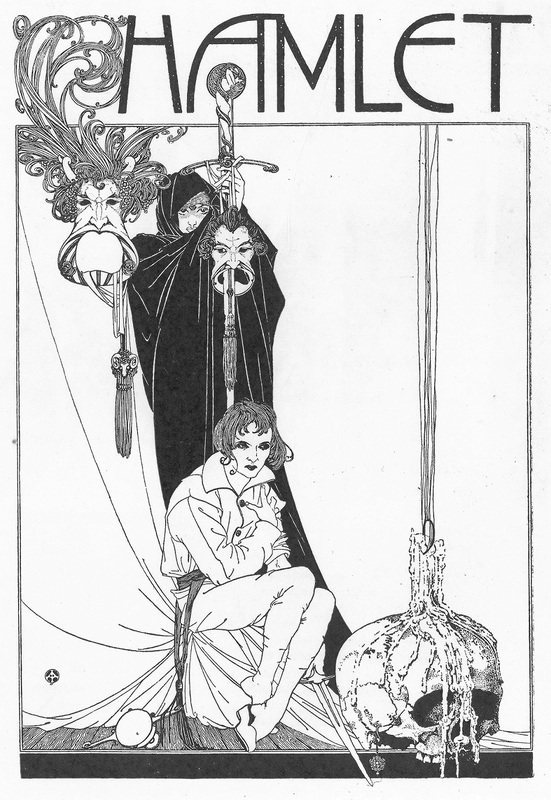 Extra-illustrated edition, frontispiece. Aquatint portrait of Richard III. Artist unknown. Richard III. In Charles Knight (ed. ), Pictorial edition of the works of Shakespeare: histories, vol. IV, pt. 2. London: Charles Knight and Co. 1867. Extra-illustrated edition, facing p. 238. Richard III’s nightmare. Artist unknown. Richard III. In Charles Knight (ed. ), Pictorial edition of the works of Shakespeare: histories, vol. IV, pt. 2. London: Charles Knight and Co. 1867. Extra-illustrated edition, facing p. 251. 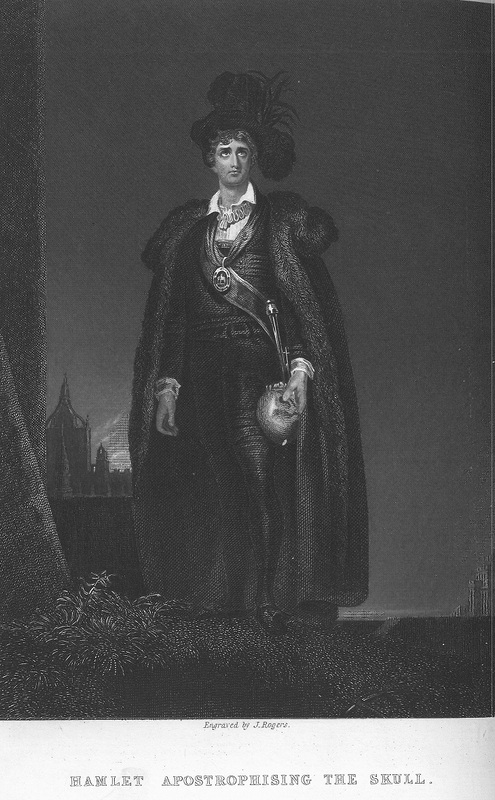 ‘Garrick in the character of Richard III’. Engraved by E. J. Portbury, after William Hogarth. Richard III. In Charles Knight (ed. ), Pictorial edition of the works of Shakespeare: histories, vol. IV, pt. 2. London: Charles Knight and Co. 1867. Extra-illustrated edition, facing p. 309. ‘König Richard III ~ King Richard III’. Engraved by Johann Tobias Bauer after August Friedrich Pecht. Richard III. In Edward Dowden, Shakespeare scenes and characters: a series of illustrations. London: Macmillan and Co., 1876, facing p. 49. 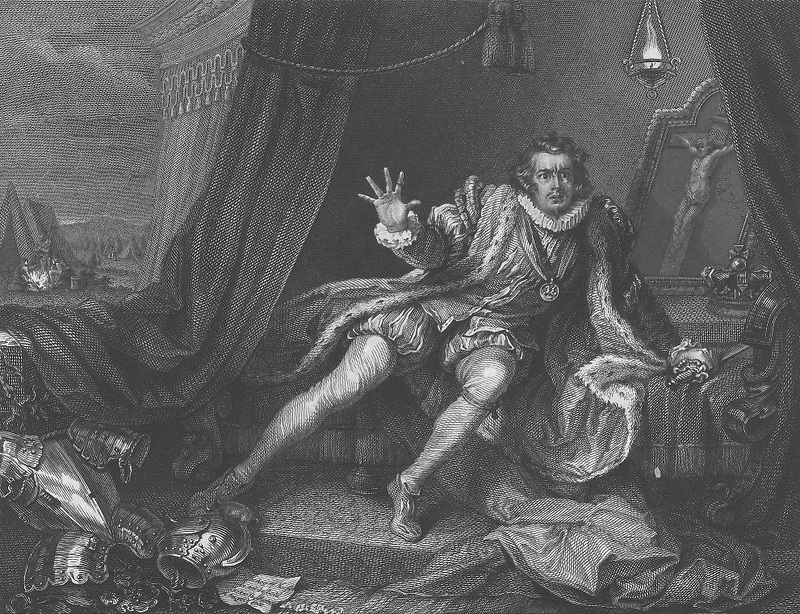 ‘Garrick as Richard the Third’. Engraved by Henry Edward Dawe after Johann Joseph Zoffany. Here, we can examine variations on the same scene presented by different artists. 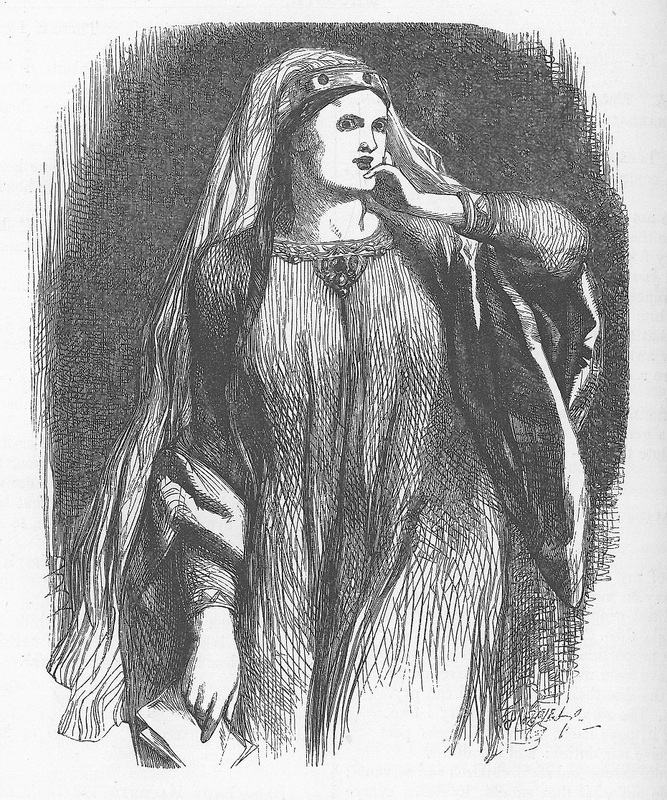 The images of Lady Macbeth by John Gilbert, George Henry Harlowe and Alfred Edward Chalon are all taken from the first time Lady Macbeth appears on stage in Act I Scene V, after she has read Macbeth’s letter that informs her of the witches’ prophecy that Macbeth will become King. In all three images she is presented as being rather masculine, a direct visual correspondence to her line ‘Come, you spirits / That tend on mortal thoughts, unsex me here’. 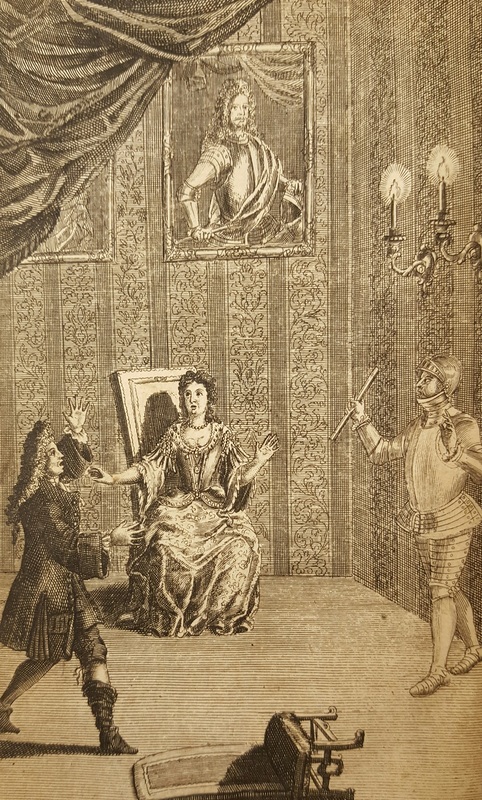 In the image by Harlowe, of the actress Sarah Siddons playing the role, the pattern on her dress even looks like a sword. This is Lady Macbeth as a warrior. The final two images are taken from Act V Scene I or, as it has become popularly know: the sleepwalking scene. Consumed by guilt, a somnambulant Lady Macbeth confesses to the crimes she has committed throughout the play and attempts to wash the imaginary blood from her hands: ‘Here’s the smell of the blood still: all the perfumes of Arabia will not sweeten this little hand. Oh, oh, oh!’ Harlowe’s image, here, contrasts remarkably with his first. Lady Macbeth is no longer warrior-like, she is dressed in white and is greatly reduced in stature, looking vulnerable and, even, holy. 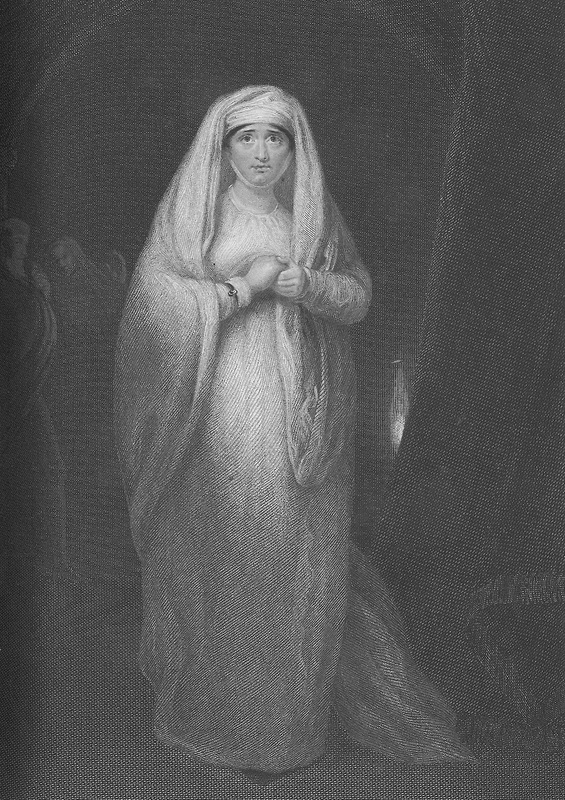 It is the last we shall see of Lady Macbeth in the play, she will die off-stage by ‘self and violent hands’. Or, rather, suicide. 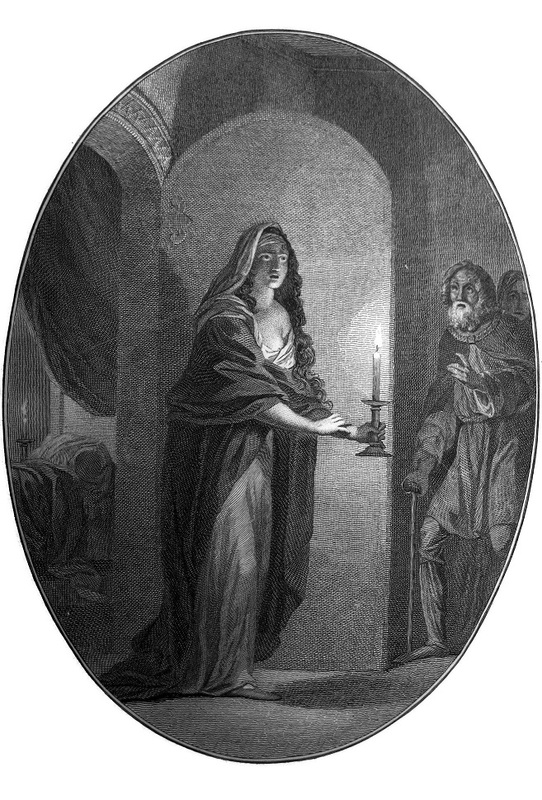 Lady Macbeth holding Macbeth’s letter. Engraved by the Brothers Dalziel after John Gilbert. Macbeth. In Howard Staunton (ed. ), Works of Shakespeare, vol. 3. London: George Routledge & Sons, 1866, p. 478. Macbeth. In Charles Knight (ed. 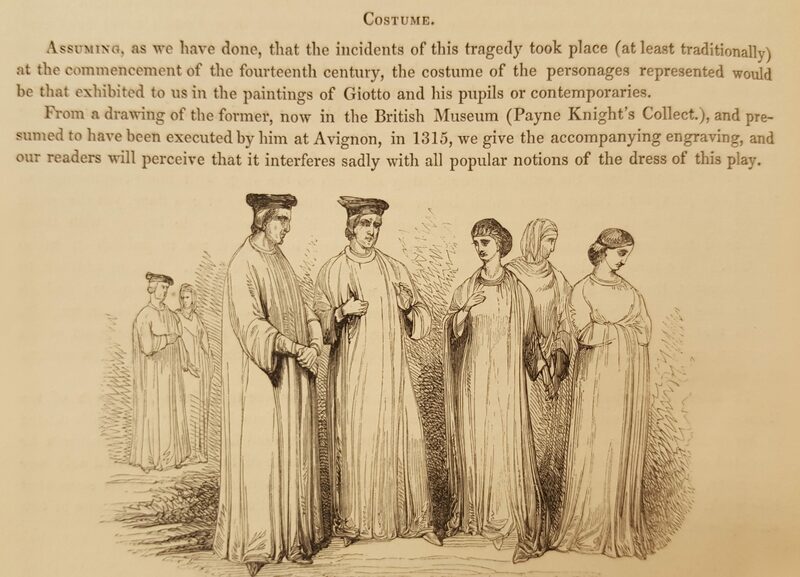 ), Pictorial edition of the works of Shakespeare: tragedies, vol. VI, pt. 1. London: Charles Knight and Co. 1867. Extra-illustrated edition, facing p. viii. Lady Macbeth in Act 1, Scene 5. Engraved by Henry Cook after Alfred Edward Chalon. Macbeth. In Charles Knight (ed. ), Pictorial edition of the works of Shakespeare: tragedies, vol. VI, pt. 1. London: Charles Knight and Co. 1867. Extra-illustrated edition, facing p. 26. ‘Mrs. 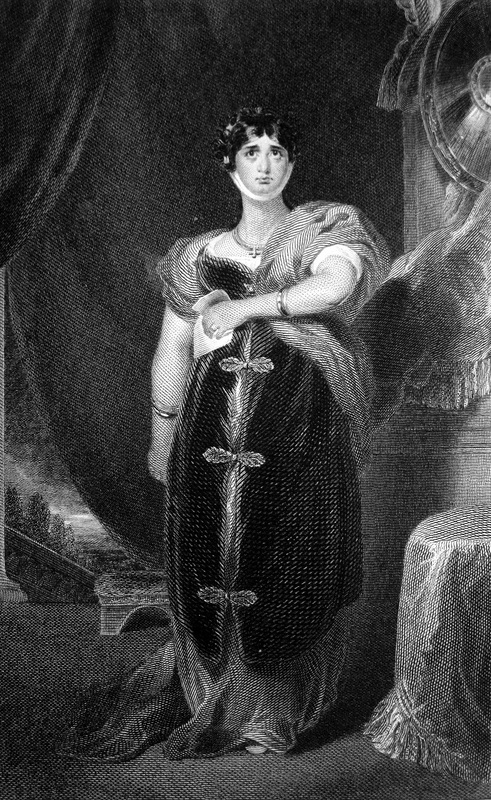 Siddons’ [as Lady Macbeth]. Engraved by Robert Cooper after George Henry Harlowe (1822). Macbeth. In Charles Knight (ed. 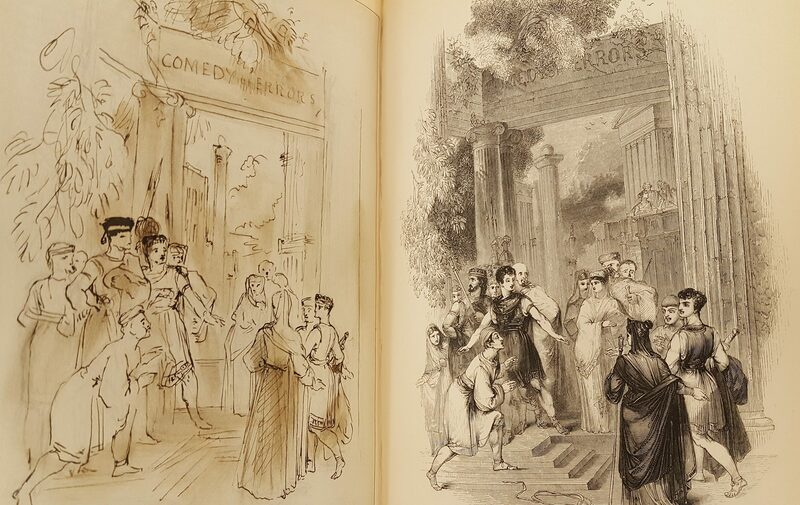 ), Pictorial edition of the works of Shakespeare: tragedies, vol. VI, pt. 1. London: Charles Knight and Co. 1867. Extra-illustrated edition, facing p. 52. ‘Lady Macbeth, walking in her sleep’ [Act 5, Scene 1]. Engraved by Charles Taylor after Robert Smirke. Lady Macbeth: Out! Damned spot; out, I say! Macbeth. Charles Knight (ed. ), Pictorial edition of the works of Shakespeare: tragedies, vol. VI, pt. 1. London: Charles Knight and Co. 1867. Extra-illustrated edition, facing p. 52. 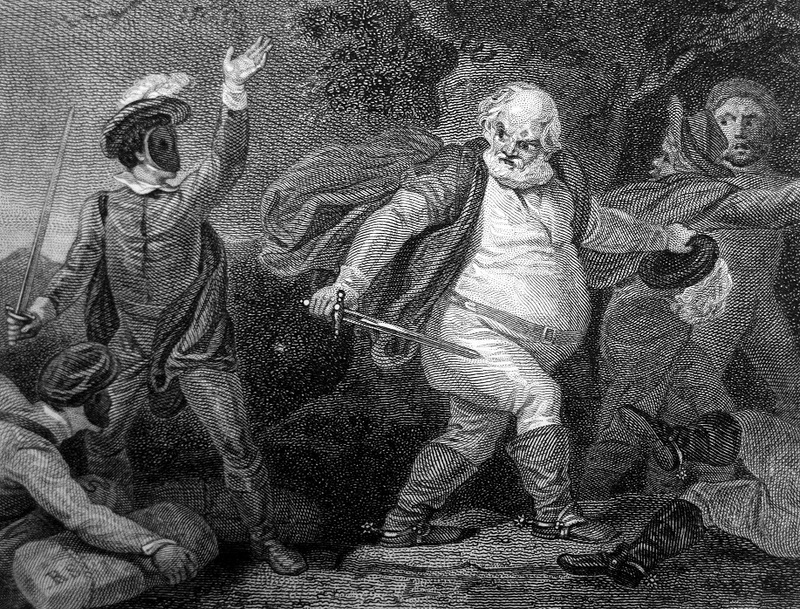 Sir John Falstaff is one of Shakespeare’s most popular and enduring comic characters. 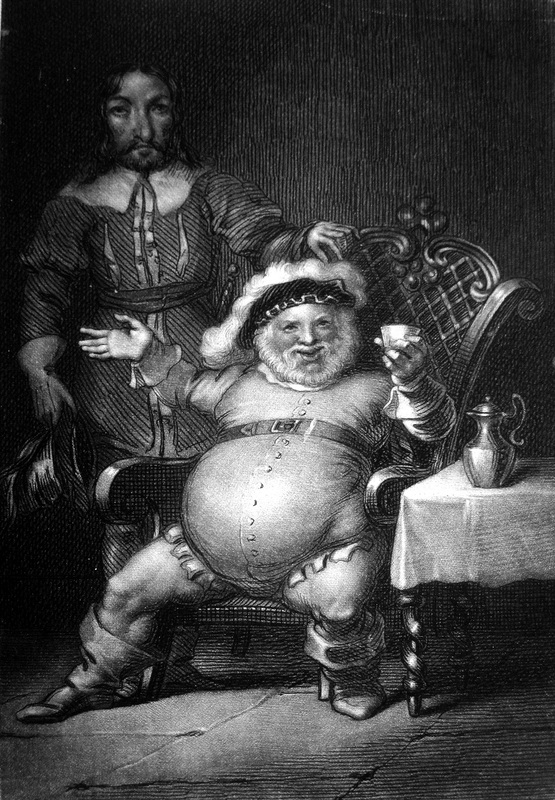 Described by Samuel Taylor Coleridge as a man of ‘complete moral depravity,’ but also possessing a ‘first-rate wit’ and ‘talent’, Falstaff appears in both parts of Henry IV and also, in what could be described as the Renaissance Stage equivalent of a sitcom spinoff, The Merry Wives of Windsor, where Falstaff decides to woo two married women in a fool-hardy attempt to make money. It is the two parts of Henry IV and the powerful narrative arc that Falstaff participates in with the future King Henry V, Prince Hal, that mark Falstaff out as a character who possesses a depth more associated with Shakespeare’s tragic heroes rather than his other comic characters. 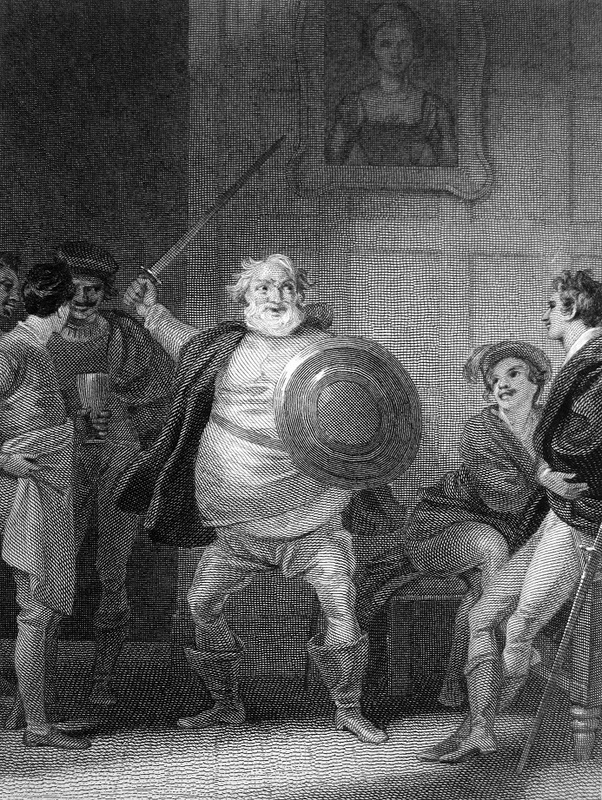 When Hal succeeds to the throne at the end of Henry IV Part II, he rejects his old friend Falstaff, telling him in an electrifying piece of theatre that, ‘I know thee not old man: fall to thy prayers’. Falstaff is not just a simple comic foil, then, and in his ‘What is honour?’ speech that he delivers at the end of Henry V Part I, he poses a question that in the context of the History Plays is analogous to Hamlet’s ‘To be or not to be?’ In the epilogue of Henry IV Part II, Shakespeare reassures us that he will ‘continue the story, with Sir John in it’. But it was not to be. For whatever reason, Sir John did not appear in Henry V: his death occurs off-stage and is only reported to us by Mistress Quickly. 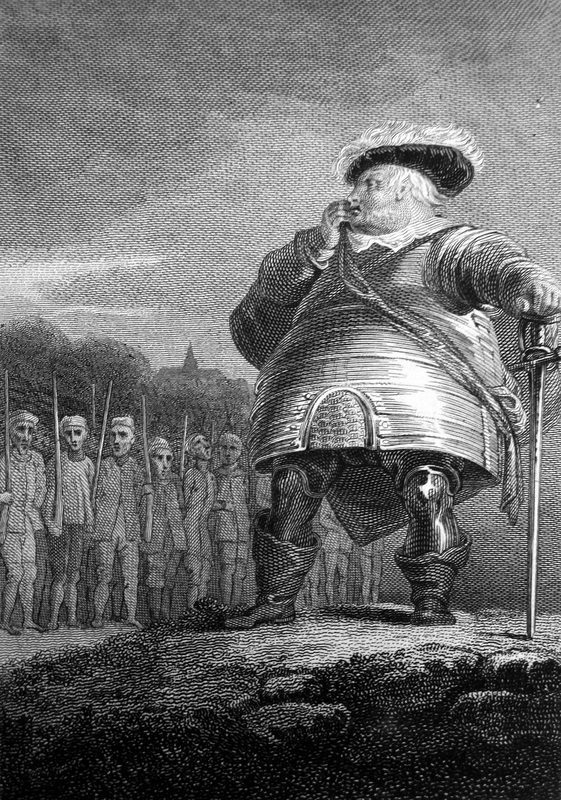 Had Shakespeare killed off his fat Knight because his popular comic character was becoming bigger than the story he was trying to tell? ‘Falstaff and his friends’. Painted by Charles Leslie. Merry wives of Windsor. In Henry Irving and Frank A. Marshall (eds. ), Works of William Shakespeare, vol. VI. London: Gresham Publishing Company, 1888, frontispiece. Falstaff. Engraved by George Noble after Robert Smirke. King Henry IV, Part 1. In Charles Knight (ed. ), Pictorial edition of the works of Shakespeare: histories, vol. III, pt. 2. London: Charles Knight and Co. 1867. Extra-illustrated edition, facing p. 188. 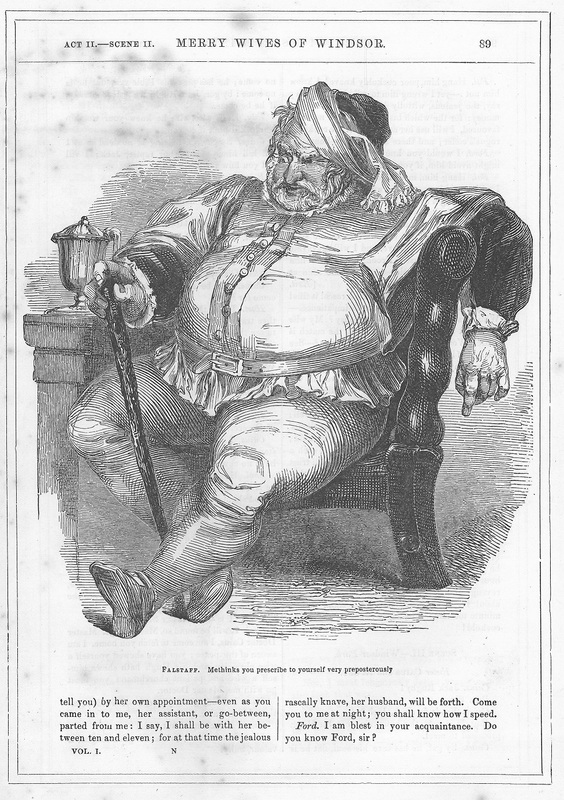 Falstaff in Act 2 Scene 4. 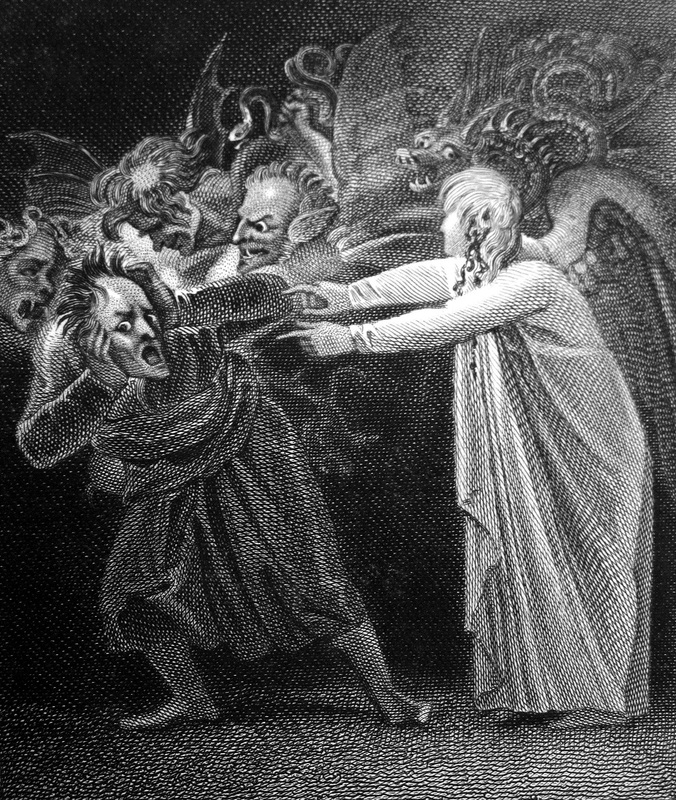 Engraved by Charles Heath after Robert Smirke (1825). King Henry IV, Part 1. In Charles Knight (ed. ), Pictorial edition of the works of Shakespeare: histories, vol. III, pt. 2. London: Charles Knight and Co. 1867. Extra-illustrated edition, facing p. 190. Portrait of Falstaff. Artist and engraver unknown. King Henry IV, Part 1. In Charles Knight (ed. ), Pictorial edition of the works of Shakespeare: histories, vol. III, pt. 2. London: Charles Knight and Co. 1867. Extra-illustrated edition, facing p. 206. Falstaff in Act 4, Scene 2. Engraved by Richard Rhodes after John Thurston (1813). Falstaff: No eye hath seen such scarecrows. I’ll not march through Coventry with them, that’s flat. King Henry IV, Part 1. In Charles Knight (ed. ), Pictorial edition of the works of Shakespeare: histories, vol. III, pt. 2. London: Charles Knight and Co. 1867. Extra-illustrated edition, facing p. 214. Falstaff. Illustrated by Kenny Meadows. Falstaff: Methinks you prescribe to yourself very preposterously. Merry wives of Windsor. In Barry Cornwall (ed. ), Complete works of Shakespeare, vol. 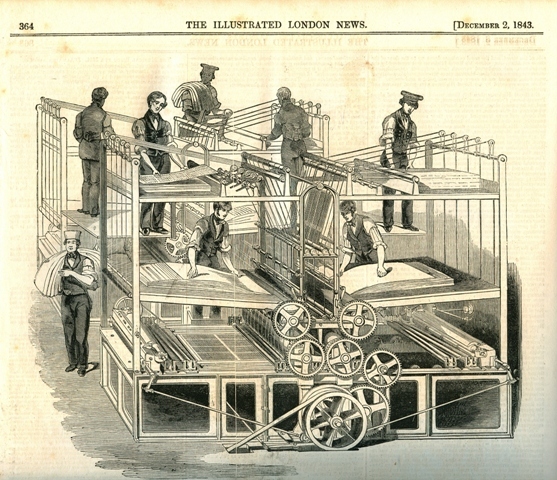 I. London: London Printing and Publishing Company Limited, c. 1858, p. 89. ‘From the east to western Inde, / No jewel is like Rosalind’. 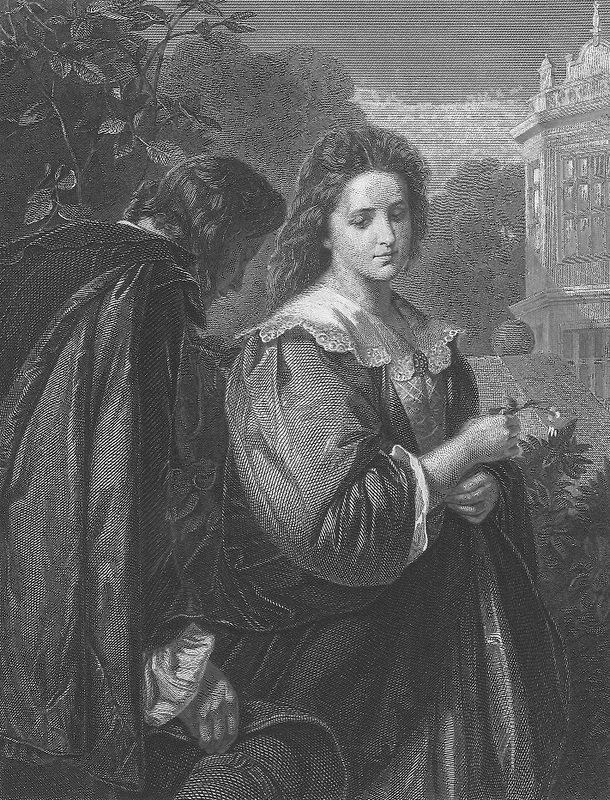 Whilst Orlando’s verse praising his love is comically turgid, it is, nevertheless a neat summation of Rosalind’s position in English Literature. There is, simply, no other character like her. Or him. 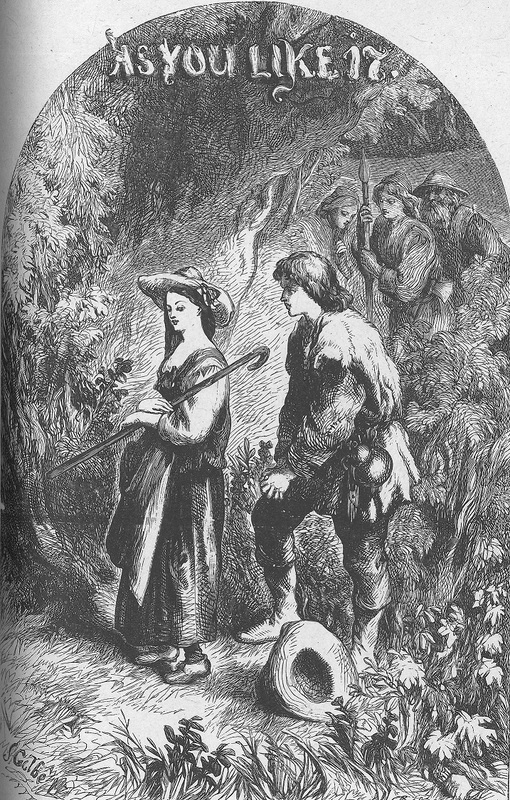 For Rosalind spends most of the play dressed as a shepherd named Ganymede, and has consequently given gender theorists much material to work with. Why, for example, when Rosalind safely escapes her uncle’s court for the Forest of Arden, does she remain as Ganymede? And what about the problem of the epilogue? Is the actor playing Rosalind meant to remain ‘in character’ or is that mask meant to drop? Confusing matters even further is when we remember that only boys and men were allowed to perform on the Elizabethan stage. In this context, then, the boy actor playing Rosalind is effectively a boy acting as a girl who is acting as a boy in order to make a young man fall in love with her (or him)? The fluidity of gender is one of the major characteristics of Shakespeare’s comedy and it reaches its most satisfying realisation in As You Like It through the character of Rosalind, whom Harold Bloom has described as being the first modern lover. ‘Wie es euch gefällt ~ As you like it’. Engraved by Johann Bankel after Friedrich Schwoerer. As you like it. 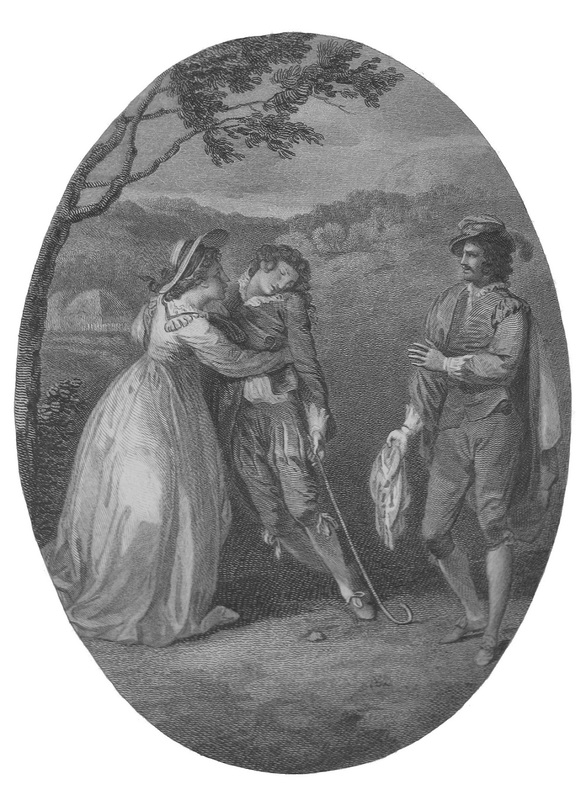 In Edward Dowden, Shakespeare scenes and characters: a series of illustrations. London: Macmillan and Co., 1876, facing p. 138. Frontispiece, As you like it. Engraved by the Dalziel Brothers after John Gilbert. As you like it. In Charles Knight (ed. ), Pictorial edition of the works of Shakespeare: comedies, vol. II, pt. 1. London: Charles Knight and Co. 1867. Extra-illustrated edition, facing p. 192. 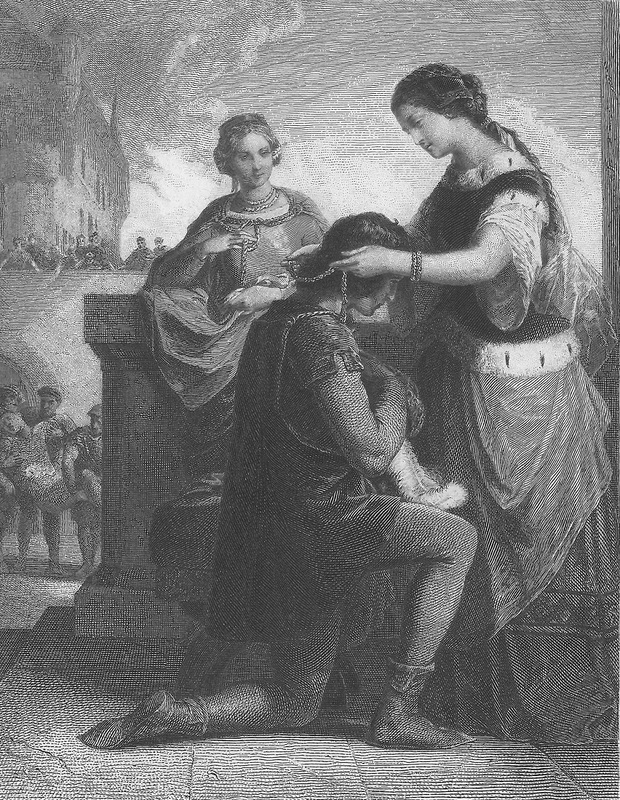 Rosalind gives Orlando her necklace, Act 1 Scene 2. Engraved by William Leney after John Downman. As you like it. In Charles Knight (ed. ), Pictorial edition of the works of Shakespeare: comedies, vol. II, pt. 1. London: Charles Knight and Co. 1867. Extra-illustrated edition, facing p. 216. 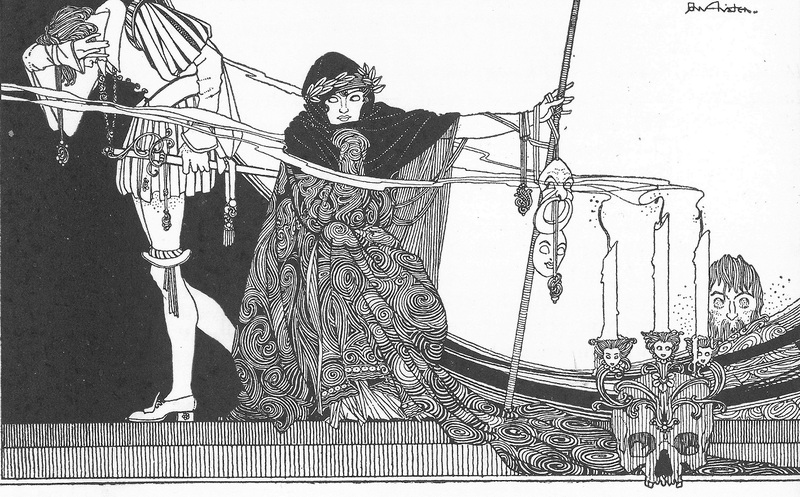 Rosalind in Act 4, Scene 3. Illustrated by Kenny Meadows. Celia: Why, how now, Ganymede! Sweet Ganymede! [Rosalind faints. Oliver: Many will swoon when they do look on blood. Celia: There is more in it. — Cousin! Ganymede! As you like it. In Barry Cornwall (ed. ), Complete works of Shakespeare, vol. II. London: London Printing and Publishing Company Limited, c. 1858, p. 469. ‘The bloody napkin shewn to Rosalind’ [Act 4, Scene 3]. 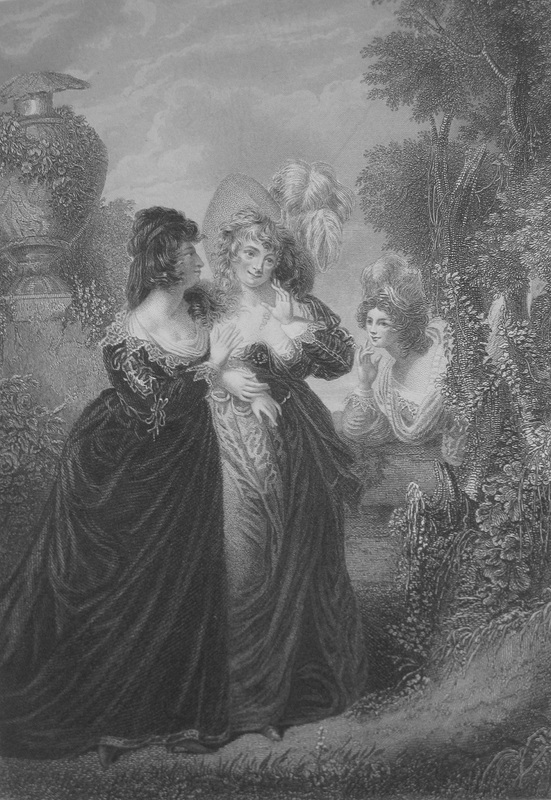 Engraved by Charles Taylor after Thomas Stothard. As you like it. In Charles Knight (ed. ), Pictorial edition of the works of Shakespeare: comedies, vol. II, pt. 1. London: Charles Knight and Co. 1867. Extra-illustrated edition, facing p. 249. The scene by Kenny Meadows demonstrates traditional, wood engraved illustration. The technique allowed both word and image to be printed on a single page easily and relatively cheaply. It revolutionised printing in the Victorian period and turned illustrated media into a mass commercialised medium. The Dalziel Brothers, engravers of the Hamlet frontispiece, were one of the largest and most successful firms of Victorian engravers. Moving on from the Victorian period, we have two compelling images taken from the early part of the twentieth-century. The first two of these are from a wonderful edition, illustrated, or, rather, ‘decorated’ (as the frontispiece says) by John Austen from 1922. The images are fascinating in their own right as visual interpretations of the play, but they also show how the art of Shakespeare illustration was influenced by technology. New photomechanical means of reproduction led to the obsolescence of manual wood engraving, and aided the smooth, curvilinear designs of art nouveau. Hamlet in Act 1, Scene 4. Illustrated by Kenny Meadows. Horatio: Look, my lord, it comes! Hamlet. In Barry Cornwall (ed. ), Complete works of Shakespeare, vol. III. London: London Printing and Publishing Company Limited, c. 1858, p. 149. 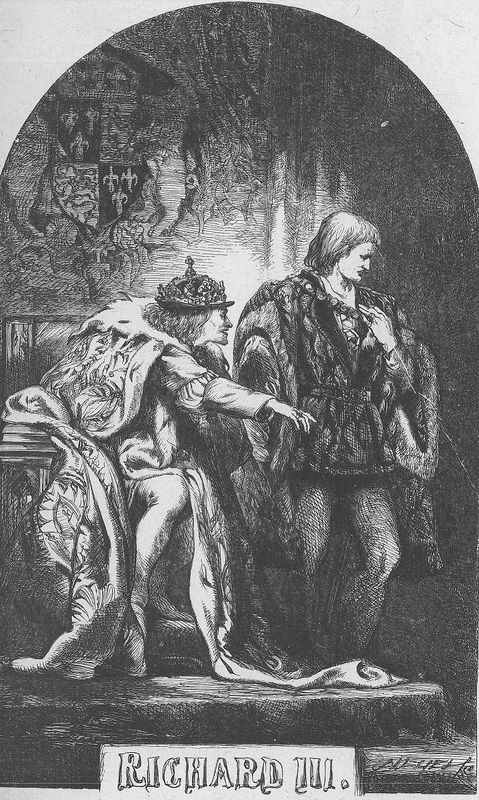 Frontispiece, Hamlet. 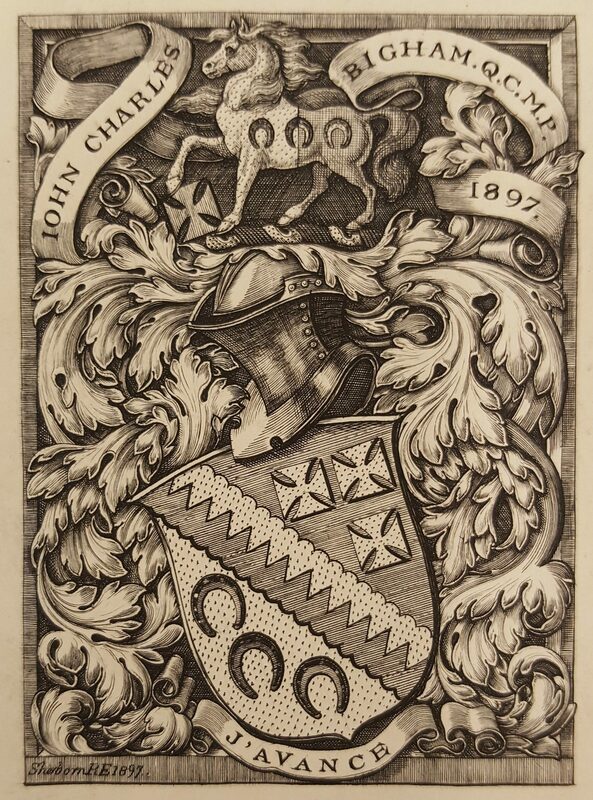 Engraved by the Dalziel Brothers, after John Gilbert. Hamlet. In Charles Knight (ed. ), Pictorial edition of the works of Shakespeare: tragedies, vol. V, pt. 1. London: Charles Knight and Co. 1867. Extra-illustrated edition, facing p. 84. ‘Hamlet apostrophising the skull’ [Act 5, Scene 1]. 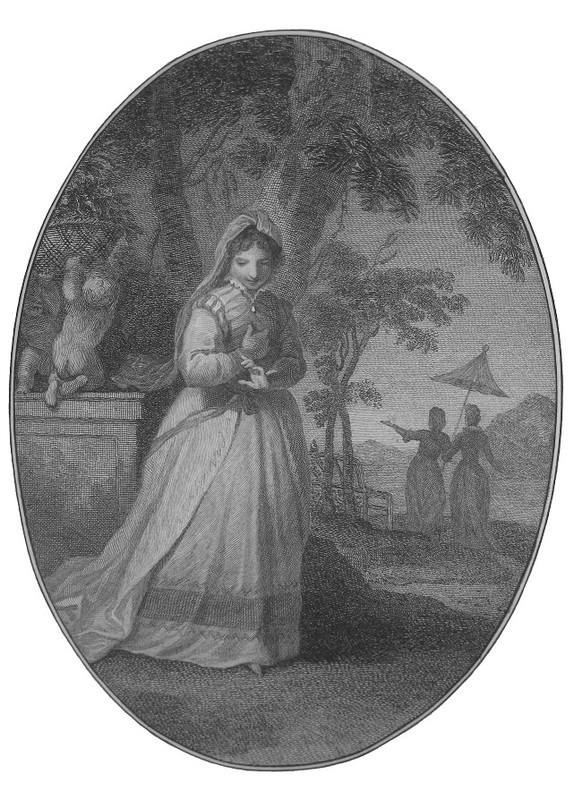 Engraved by John Rogers after Sir Thomas Lawrence. Hamlet. In Charles Knight (ed. ), Pictorial edition of the works of Shakespeare: tragedies, vol. V, pt. 1. London: Charles Knight and Co. 1867. 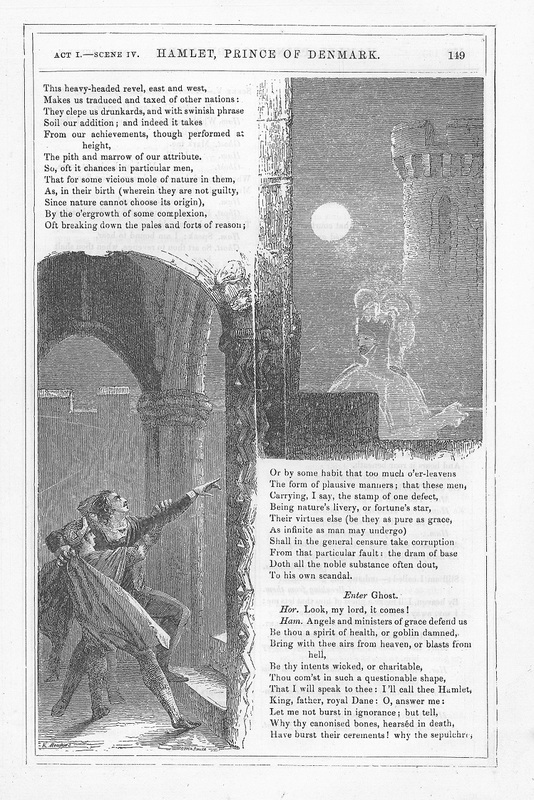 Extra-illustrated edition, facing p. 157. 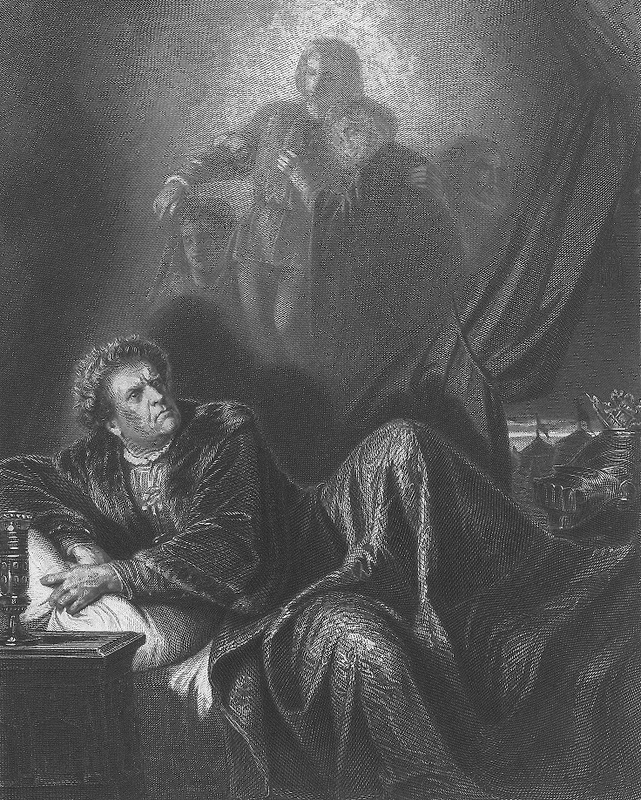 Frontispiece, Hamlet. Illustrated by John Austen. Hamlet in Act 1, Scene 5. Illustrated by John Austen. Like Benedick, during the course of the Much Ado About Nothing, we also fall in love with Beatrice. 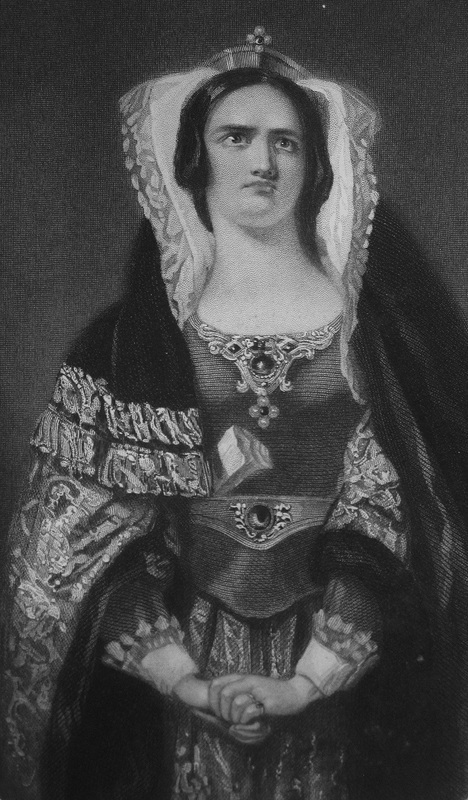 She is the most witty and vivacious of all of Shakespeare’s heroines, telling Benedick that ‘I had rather hear my dog bark at a crow than a man swear he loves me.’ It is this repartee that she has with Benedick that led the critic Marjorie Garber to describe the play as a forerunner to the screwball Hollywood comedies of the 1930s and 1940s such as The Philadelphia Story and His Girl Friday. Beatrice and Benedick are, in many ways, the Katherine Hepburn and Cary Grant of the 1590s. ‘Viel lärmen un nichts ~ Much ado about nothing’. Engraved by Johann Tobias Bauer after M. Adamo. Much ado about nothing. 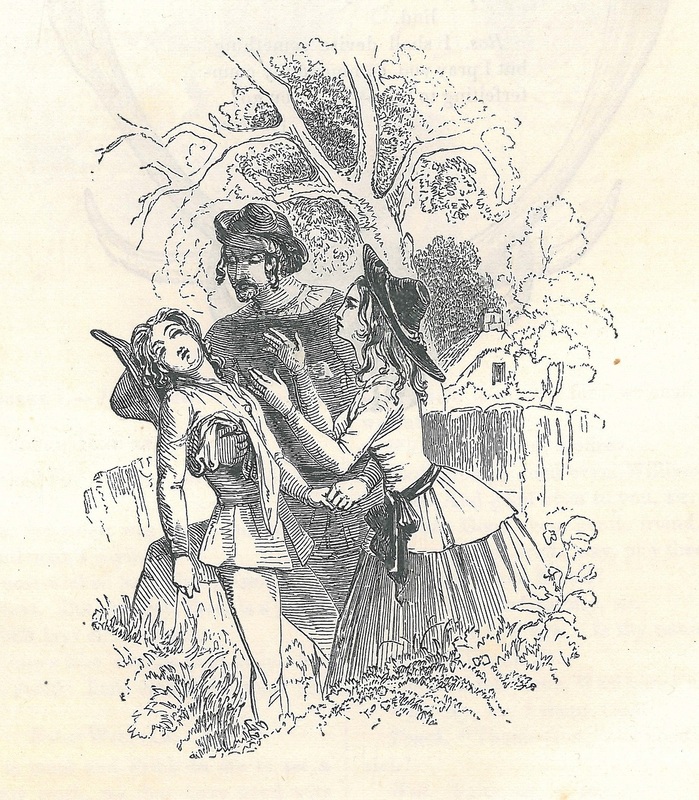 In Edward Dowden, Shakespeare scenes and characters: a series of illustrations. London: Macmillan and Co., 1876, facing p. 131. Beatrice eavesdropping on Hero and Ursula. Engraved by John Rogers after Rev. Matthew William Peters. Much ado about nothing. In Charles Knight (ed. ), Pictorial edition of the works of Shakespeare: comedies, vol. II, pt. 1. London: Charles Knight and Co. 1867. Extra-illustrated edition, facing p. 94. 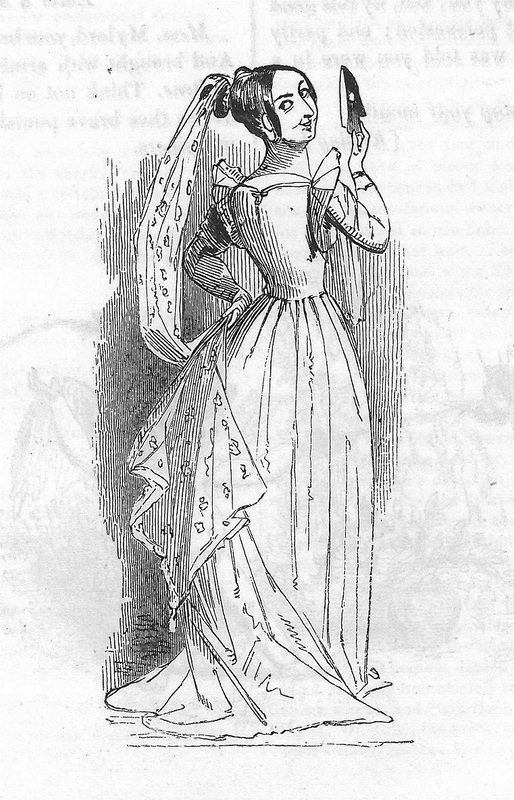 Beatrice in Act 5, Scene 4. Illustrated by Kenny Meadows. Benedick: Soft and fair, friar. — Which is Beatrice? Beatrice: I answer to that name [Unmasking. Much ado about nothing. In Barry Cornwall (ed.) 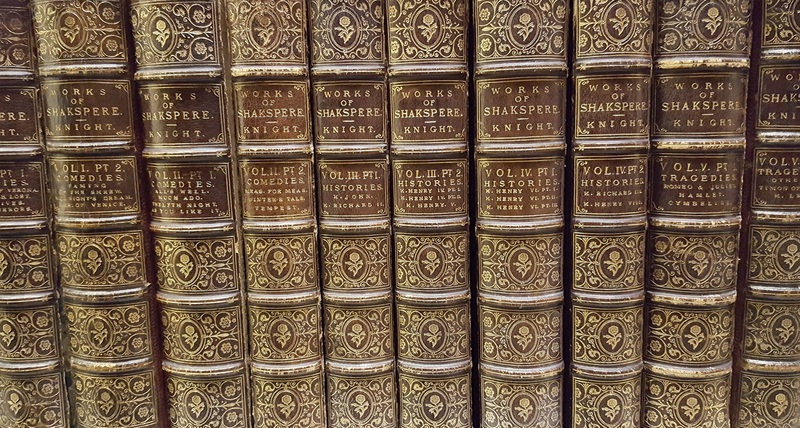 Complete works of Shakespeare, vol. I. London: London Printing and Publishing Company Limited, c. 1858, p. 239. 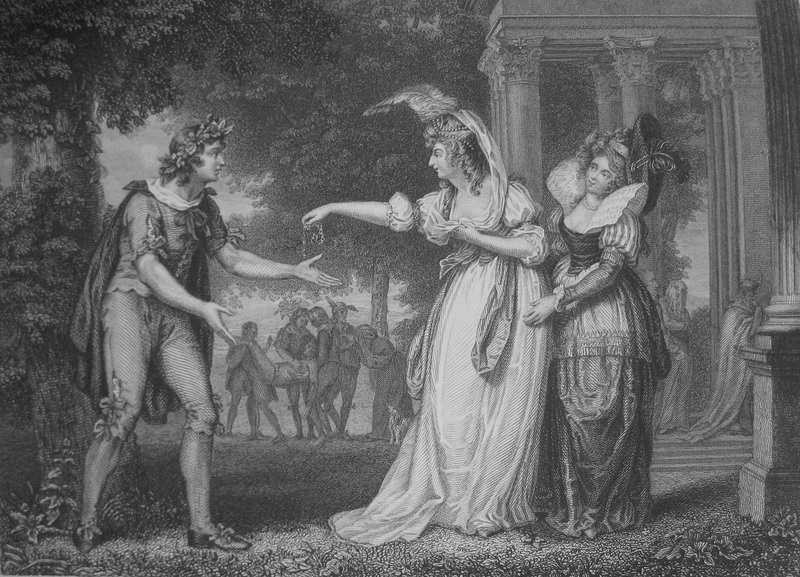 Beatrice in Act 3, Scene 1, engraved by Charles Taylor after Robert Smirke. Much ado about nothing. In Charles Knight (ed. 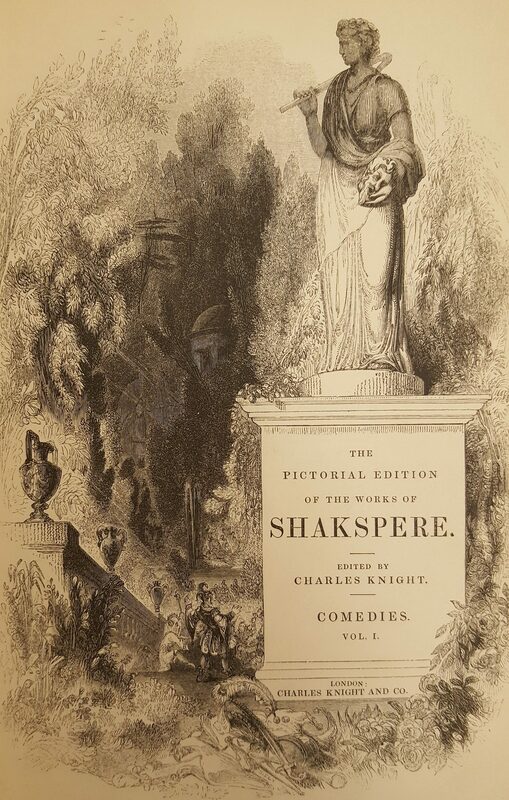 ), Pictorial edition of the works of Shakespeare: comedies, vol. II, pt. 1. London: Charles Knight and Co. 1867. Extra-illustrated edition, facing p. 96.